This section of the website is maintained by the WSSA Herbicide Resistant Plants Committee (E12). Contact Dr. William Vencill (wvencill@uga.edu ), the committee chair, with any updates/suggestions. WSSA does not endorse, authorize or promote any material or product provided in the external websites. These are for information purposes only. Cases of herbicide-resistant weeds worldwide are continually compiled online in the International Survey of Herbicide Resistant Weeds (see website link on this page). Such weed biotypes are becoming increasingly common since the first reports of their occurrence in the 1950s. These biotypes survive herbicide application at doses that usually give effective control of the species. Resistant weed biotypes are a consequence of basic evolutionary processes. Individuals within a species that are best adapted to a particular practice are selected for and will increase in the population. 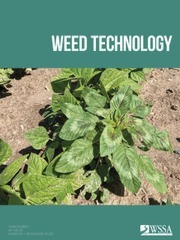 Once a weed population is exposed to a herbicide to which one or more plants are naturally resistant, the herbicide kills susceptible individuals, but allows resistant individuals to survive and reproduce. With repeated herbicide use, resistant weeds that initially appear as isolated plants or patches in a field can quickly spread to dominate the population and the soil seed bank. 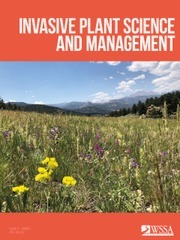 The Weed Science Society of America supports research, education, and extension efforts in all facets of herbicide resistance, including characterizing new cases of resistance, discovering the mechanisms and modes of inheritance of resistance, and identifying best management practices for preventing, delaying or managing herbicide resistance in weeds. 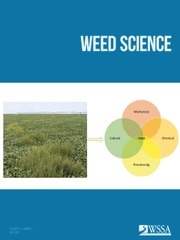 The Weed Science Society of America is planning to produce a series of fact sheets for educating the broader community on various issues associated with weeds and herbicide resistance management. The fact sheets are available here for public access. The Weed Science Society of America has developed a set of infographics to educate the broader audience on the economic benefits of proactive resistance management. The infographics are available here for public access. Building on the insights and perspectives that were established from the 2012 Herbicide Resistance Summit, the Herbicide Resistance Summit II was organized to facilitate a more unified understanding of the herbicide resistance issues across the country, understanding of differences of viewpoints, and approaches to solutions. This event was sponsored by the Weed Science Society of America and hosted by the National Research Council. Seedling stage of kochia. Image from www.invasive.org. Apply integrated weed management practices. Use multiple herbicide modes-of-action with overlapping weed spectrums in rotation, sequences, or mixtures. Use the full recommended herbicide rate and proper application timing for the hardest to control weed species present in the field. Scout fields after herbicide application to ensure control has been achieved. Avoid allowing weeds to reproduce by seed or to proliferate vegetatively. Monitor site and clean equipment between sites. Start with a clean field and control weeds early by using a burndown treatment or tillage in combination with a preemergence residual herbicide as appropriate. Use cultural practices such as cultivation and crop rotation, where appropriate.